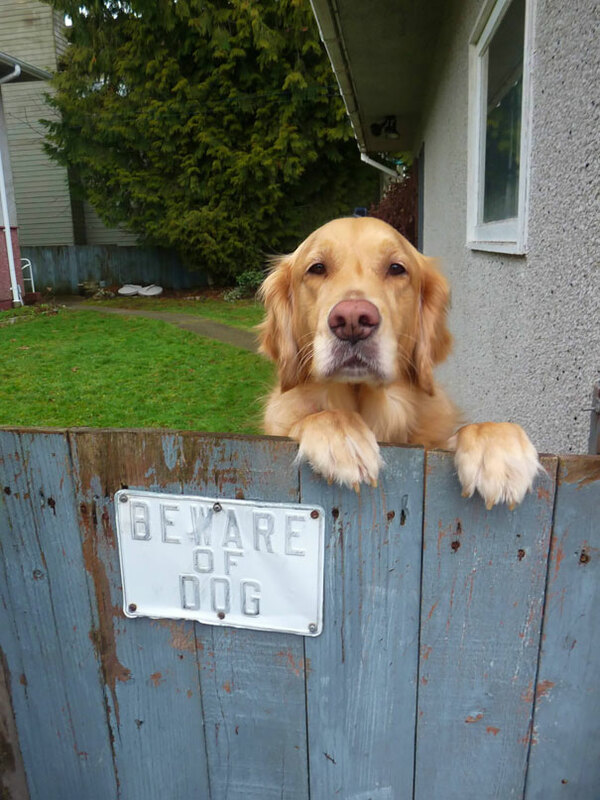 20 "Dangerous Dogs" That Aren't Quite Living Up To Their Warning Signs! 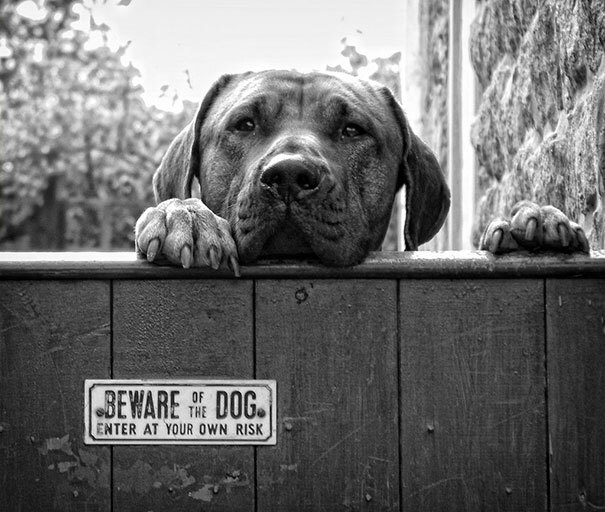 20 “Dangerous Dogs” That Aren’t Quite Living Up To Their Warning Signs! 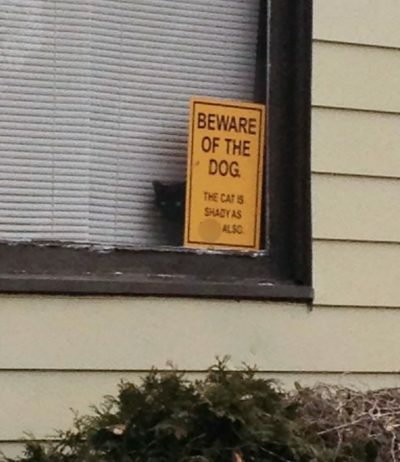 We’ve all seen those ‘Beware of the Dog’ signs, haven’t we? 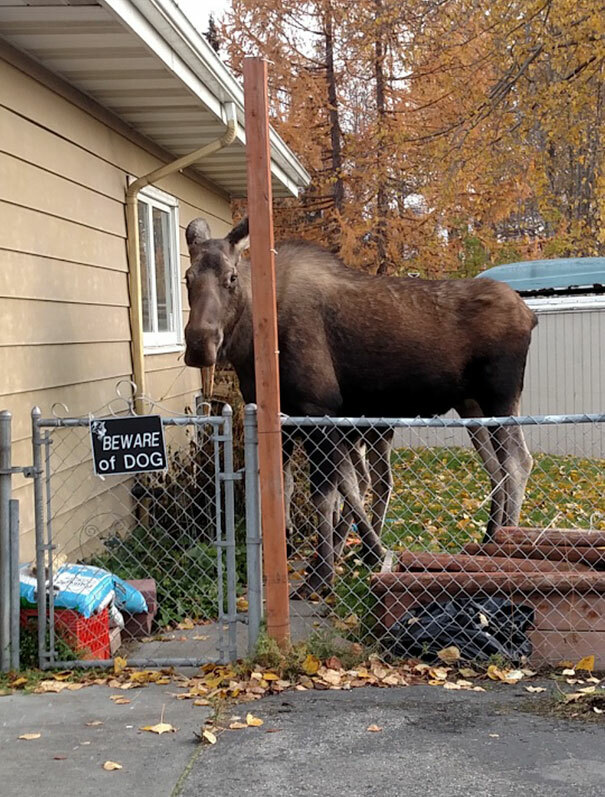 It seems, if you have a resident Doggo, then you’re more than likely going to sport of them outside of your home, am I right? Which is fair enough. However, when I was a kid (which wasn’t that long ago, honest!) 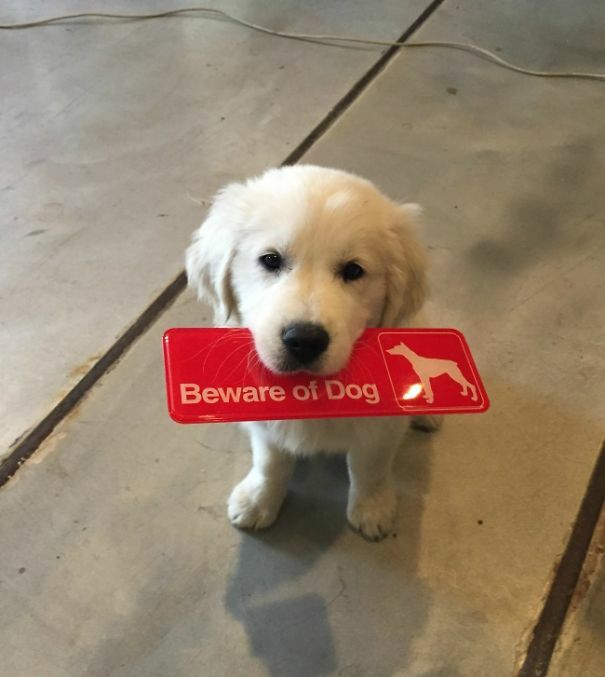 whenever we were out and about and we saw one of those signs, we were genuinely cautious, you didn’t seem to see them all that often back then…and there was usually some huge, cute, savage beast residing there, which albeit was still adorable, but likely to rip your arm off in the blink of an eye, also! 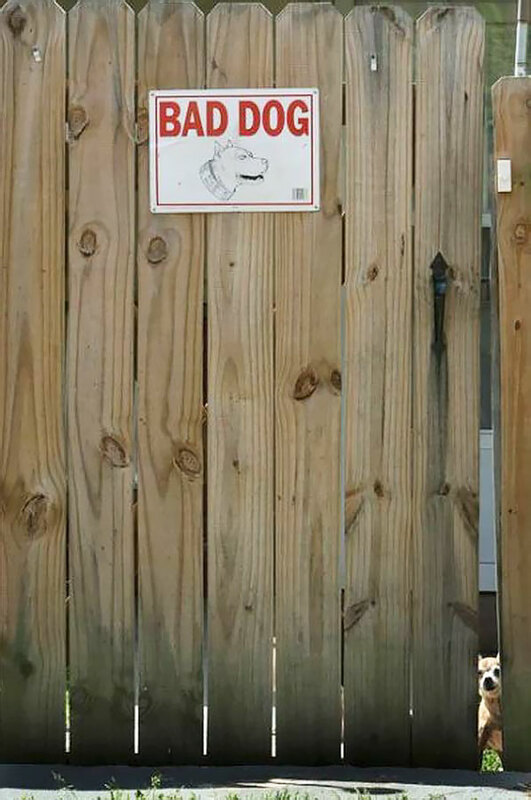 Whereas now, the times seem to have changed, these ‘warning signs’ are more for amusement and novelty now more than anything else, and half of the furry residents sporting these warnings, just don’t really need the note of caution. 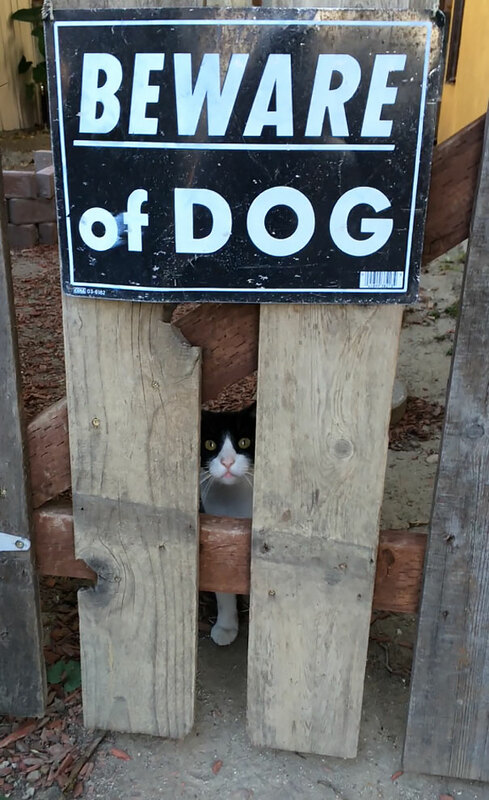 Sorry, kitty face, you’re totally busted! Mind you, if I know cats (and I do), that little guy is just making sure that everyone knows who people should really be afraid of! Never mess with a black kitty! 2. 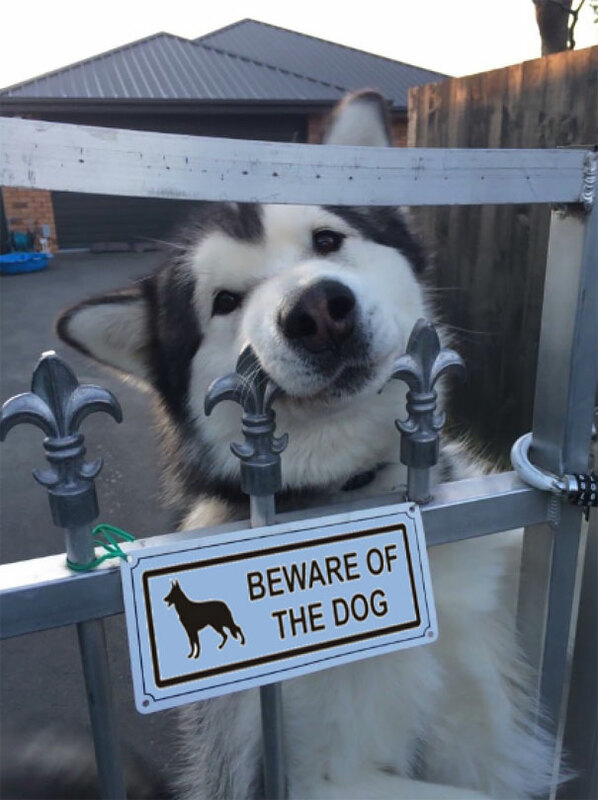 Beware of the absolute ANGEL, you mean! The only warning sign that this baby needs is a heart warning because I’m pretty sure that mine is collapsing on itself with the cuteness at the moment! Those eyes are enough to melt you down dead! 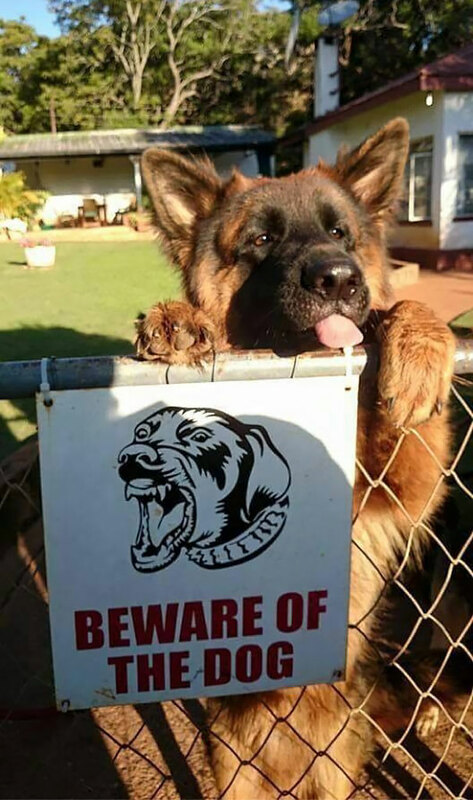 The only danger here is probably being smushed to death by all that gorgeous fur! Tongue pleps and nose boops abound! So sweetly savage! 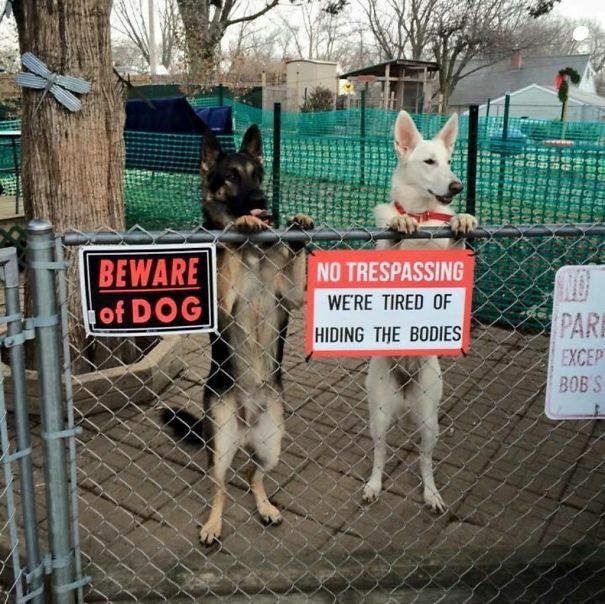 No Chief, not much danger here, just a little guy who is requesting belly rubs or he’ll lick our faces off! 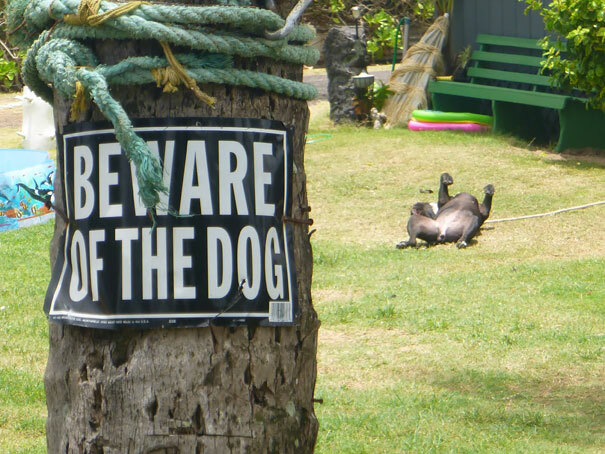 So, I’d send back up anyway…this guy is going to need a looooottt of tickles! 5. This one is really taking the mick! 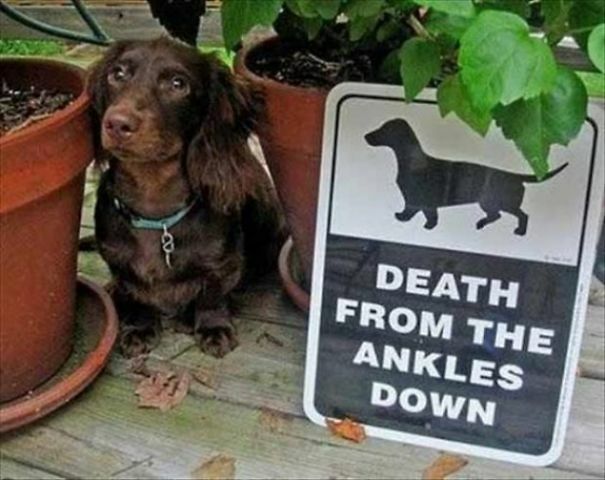 Bye bye, ankles! It’s been fun! I’m sorry, but it would be totally worth losing my ability to walk ever again if it meant I could get even the quickest cuddle from this gorgeous little soul! 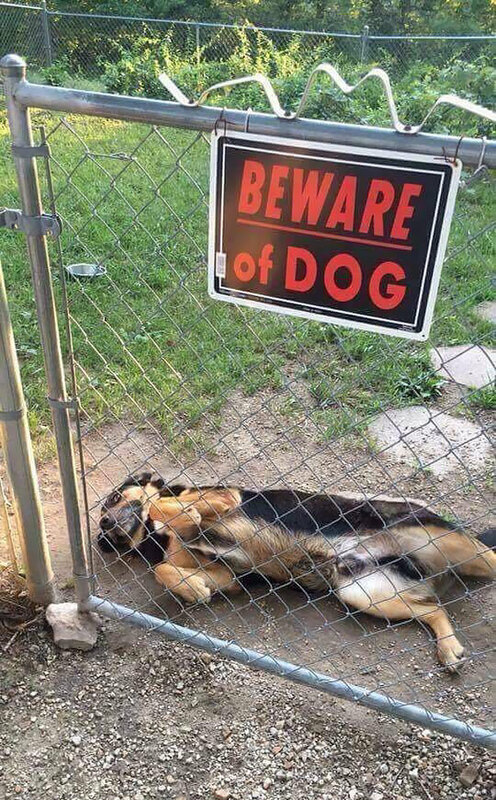 Wow, has this dude ate the Dog or what!? Look at that lil’ face! He’s using his saucer eyes to try and look as menacing as possible, but it’s just not working. 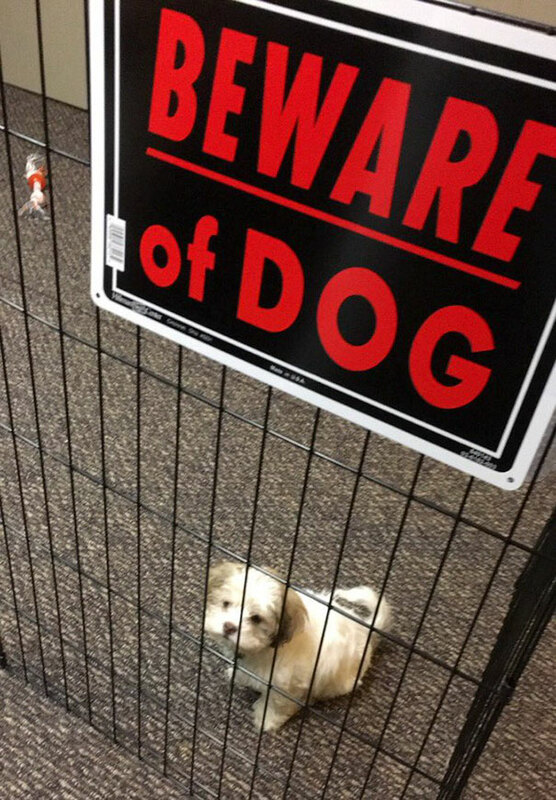 Because I’m just so savage and fierce, I thought that you may need to warn the other humans about me? Errrr, human? Why are you crying!? What a wise-looking, old soul! 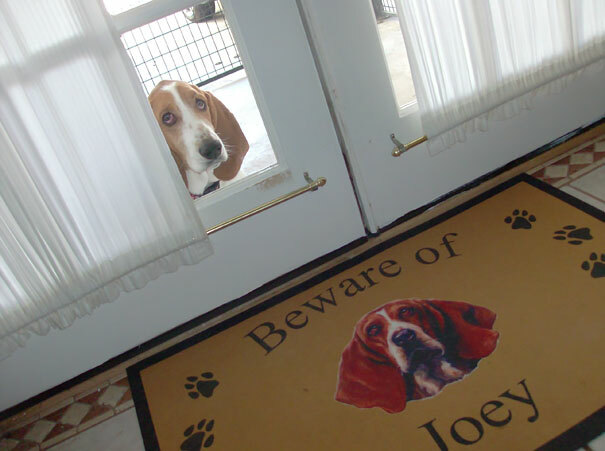 Nothing to be scared of here, except perhaps, he’ll tell you the meaning of life and blow your mind…and then maybe fetch you, your slippers. 14. Pull your scariest face, Rex! 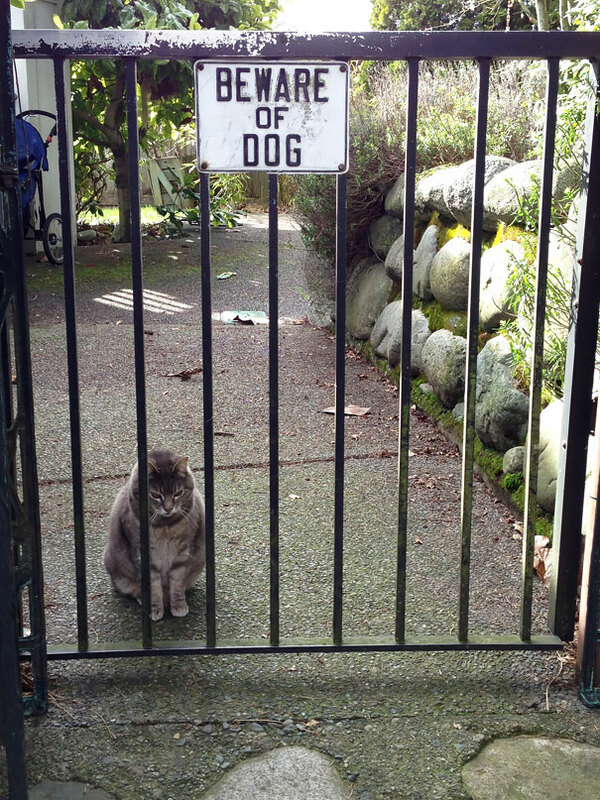 Oh…well, at least you tried, eh? 15. Are they even real!? 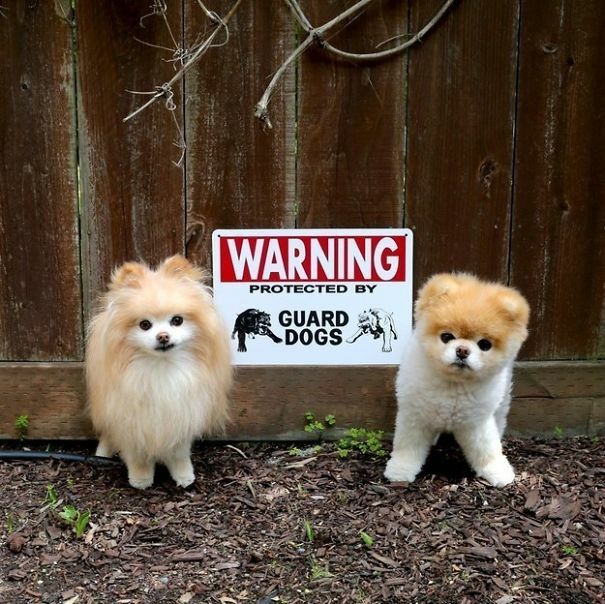 They don’t even look like real Dogs, they’re that cute! They look like plush toys! So adorable! I don’t want to know how many bodies they’ve had to hide! Although, I’m sure they got a smush from this cute duo first though, and to be honest, what a way to go! This dude is too busy loving life to care about disembowelling trespassers! He’s all about lazy summer days and butterflies, he’s a lover, not a fighter! 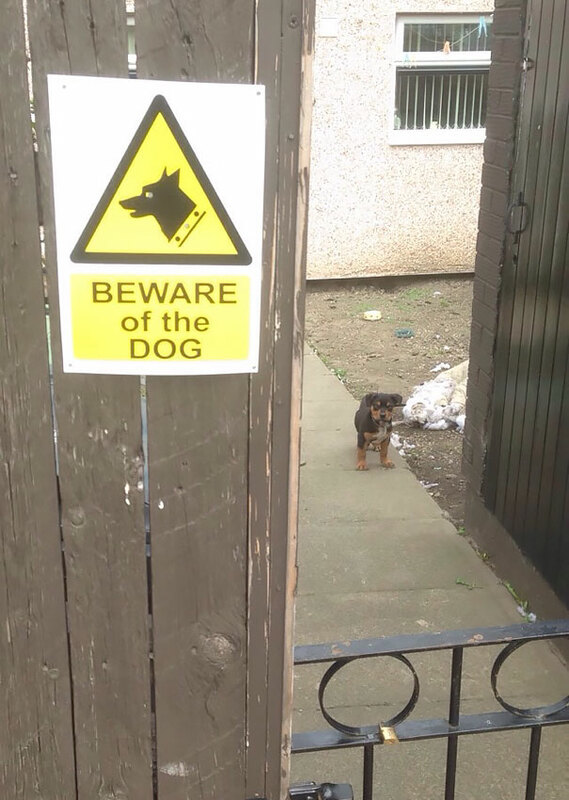 I love how the sign is actually bigger than the Dog here! It looks like I’m saying goodbye to my ankles again! 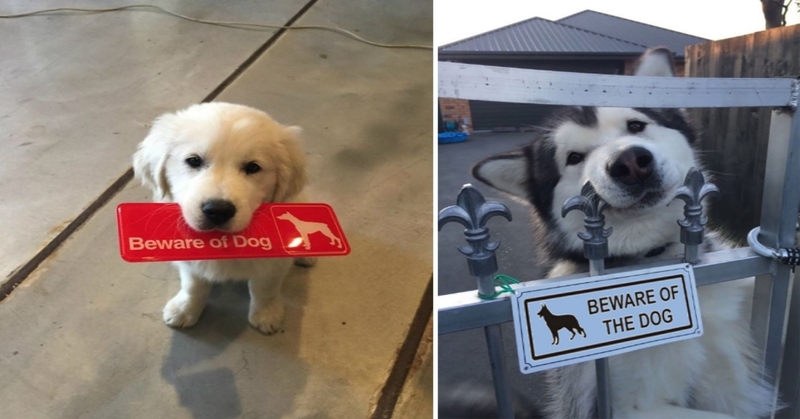 Oh well, it’s all in the name of cuteness! 20. 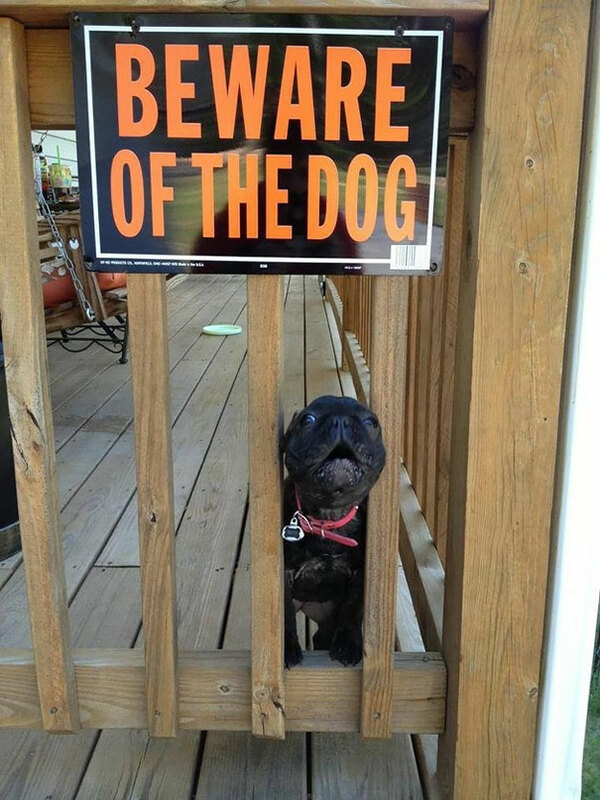 Beware of the totally photogenic face!